The Business Resource Network (BRN) is a business strategy comprised of local companies that aim to increase job retention and job productivity among their staff. Employee turnover is a substantial cost to employers. The Business Resource Network (BRN) is a tool designed to assist companies leverage resources, ensuring their employees’ personal needs are met and therefore, improving workplace engagement. Companies participating in a BRN have an experienced success coach that works on-site at each business as an extension of their Human Resource department. Success coaches may provide assistance to employees to help manage life’s challenges (e.g. child care, transportation, housing), so employees can be more reliable and productive. For employers, these services help to reduce turnover and create a more stable workforce. 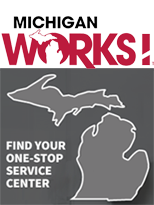 BRNs are operated by the local Michigan Works! Agencies. Northwest Michigan Works! has established the Business Resource Network (BRN). The BRN helps employers retain employees by giving them access to a Success Coach who helps them deal with challenges away from work that might be affecting their ability to do their job. Watch the video to hear from employers and employees who are benefiting from the BRN. 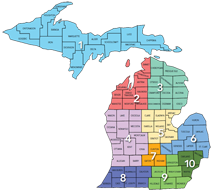 Connect with your local Michigan Works! One-Stop Service Center to find career events in your area and get access to other valuable resources. We decided to partner with Safety Net Works! in mid-December 2018 after years of hearing employees’ struggles and, while doing what we could, mostly feeling helpless in being able to assist them in any way that would have a true impact. We didn’t plan on rolling the program out until January, but after providing our employees with the information at our December employee meetings, we found that we had 8 employees that needed immediate assistance and we decided to implement the program that day. By the end of January, Safety Net Works! had worked with an additional 7 employees, assisting with transportation issues, food shortages, utility assistance and homelessness. In the now 3 months that we have been working together, I have seen our Success Coach go above and beyond to help our employees, even working with them on issues that don’t necessary fall under the Safety Net Works! umbrella. This program has already served as an invaluable asset to our employees and their families, and I look forward to continuing the partnership to better the lives of our staff. When Paul’s wife had to go on medical leave unexpectedly, they found themselves suddenly without half of their income. While usually financially stable, this unexpected loss of income caused them to fall two months behind on their rent. Without a solution, they were worried that this financial hardship could jeopardize their stable housing. Fortunately, Paul’s employer, participates in a Business Resource Network (BRN) called SafetyNet WORKS! Paul met with a BRN Success Coach to help him determine the best course of action to help with his current hardship. The Success coach assisted the Paul in applying for DHHS services in an attempt to redirect the family’s remaining cash flow. In addition, the Success Coach collaborated with Northland Federal Credit Union on an emergency loan pilot program. With help from the Success Coach, Paul was able to qualify for the short term loan, which has alleviated the pressures of the looming rent delinquency and brought them current on rent. He is still waiting to hear about his food assistance application, which would free up cash that would normally be spent on food, to be redirected to other financial responsibilities (i.e. rent). In addition, Paul and his Success Coach were able to create a budget to ensure that further delinquency does not occur. The length of Paul’s wife’s medical leave is undetermined at this time, but they estimate this short term hardship should be resolved in approximately two months. When Lance first made contact with the BRN (Business Resource Network) Success Coach that his company offered, he wasn’t sure what to expect. He just knew he needed help with his current situation at home, since it was starting to affect his work life. Lance and his girlfriend had recently moved in together, but the terms of the move-in weren’t followed, resulting in a fight and a break up. His girlfriend had moved her adult age children in with her as well, which caused great tensions between Lance and her. The fight led to their break-up and Lance moving out. He had been staying in a hotel on a night-to-night basis, but that was becoming financially unsustainable. With little savings, Lance was unsure what to do and hoped the Success Coach could offer some guidance. When Success Coach Denis Mayowski learned Lance was a veteran, he reached out to Veteran Liaison Matt Hagaman at the Gaylord Michigan Works! office. Matt suggested they try Patriot Place, a Veterans Transitional Housing Community. Within five days of first working with the Success Coach, Lance was moving into Patriot Place. Now that Lance has overcome his housing situation, his personality has changed at work. No longer sitting alone in a corner of the breakroom, Lance is noticeably different - smiling and telling jokes and stories to co-workers. Lance admits he doesn’t like asking for help and never really has, but after this experience, says he’s much more open to getting assistance when trying to overcome difficult times. Success Coach Denis Mayowski agrees, stating there’s nothing wrong with asking for help; that is what the BRN program is designed for.